The Venice Commission suggested that Ukraine amend the law. 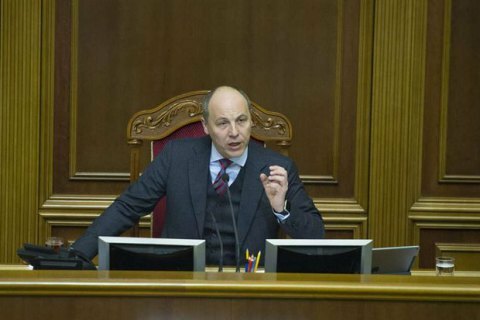 Ukrainian parliament speaker Andriy Parubiy has said that Article 7 of the education will not be amended. Speaking at a conference on Local Governance Day in Lviv Region, he said that he had talked to representatives of the Venice Commission "and it was agreed that Article 7 of the 'Law on education' will not be amended". "It will keep the wording in which it was adopted," he said. On 5 September, the Ukrainian parliament adopted the law on education, which in particular regulates the use of the Ukrainian language in education. It came into effect on 28 September. Under the law, children who will go to school on 1 September 2018 will be able to study in the native language only in primary school, that is for the first four years. Afterwards, all classes will be taught in Ukrainian. Countries with big diasporas in Ukraine protested against the new Ukrainian law. To ease tension, Ukraine sent the law to the Venice Commission for analysis. According to the commission findings made public on 8 December, the law does not foresee the use of languages that are not the official languages of the EU, including Russian. The commission suggested Ukraine should amend Article 7 and replace it with a more balanced clause.